Questions about Kichler Lighting 65384? 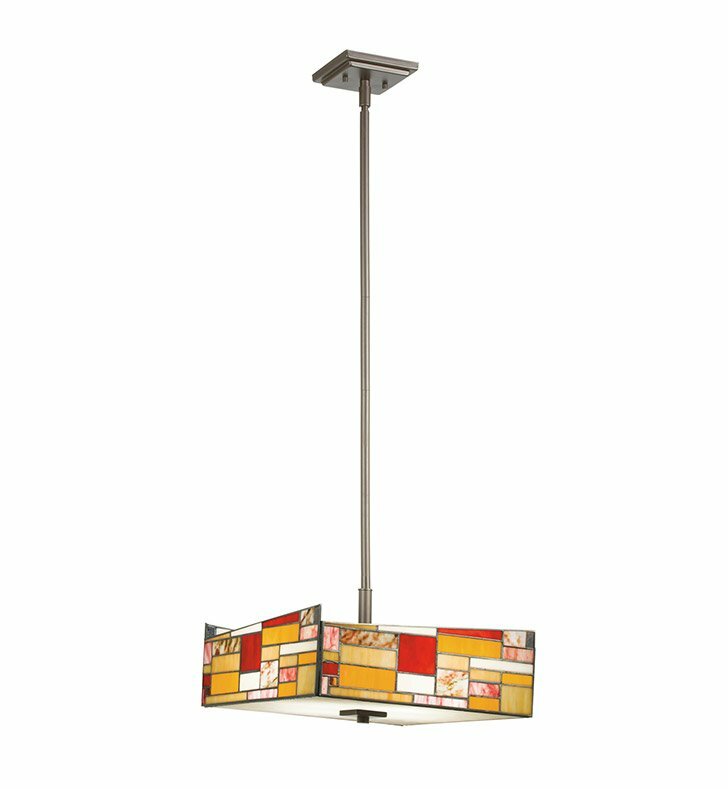 This joyful 4 light convertible semi flush fixture or pendant from the Shindy collection is a colorful, distinctive showpiece. The linear design, Art Glass and Cut Stone detailing combine to create a unique accent for any space. Dimensions: H 10" x W 15"